I’ve spent the past two years nailing down my personal style, and have tracked my progress at my other blog, Style Syntax. Now that I’m in a good place with that, my thoughts turned to my environment. My decorating style in my adult life has been, well, no style. But now that I’m spending more time at home, and my self is taken care of, I want my environment to be pretty too. I just didn’t know what my style was. I found this blog post with a bunch of quizzes, and took them all. My result was pretty consistent. Urban Funk has undeniable funk and soul. She’s at home in a place where industrial meets comfort, where over-the-top meets laid-back chill, and where retro art meets graphic simplicity. And she does all this in a way that feels totally effortless. Spa Life would add a little more minimalism and toned-down colors, which is true. I like the aesthetic, but the colors are too in your face and there is too much crap. You can spot an Eames reproduction from a mile away—and instantly know the difference between Case Study House 20A and 21B. A well-stocked wooden bar cart is the stuff of your dreams. You lust after Sottsass for his way with angles and favor cacti to chrysanthemums. You were made for midcentury, and for that we raise a (lowball) glass to you. Your Design Inspirations: Christopher Kennedy; Mad Men. Make It Work: Stick with pared-down pieces in woods or warm and neutral hues; look for brass hardware and minimal shine. I’ve always loved Mid-century Modern and have wanted an Eames chair for close 20 years and would definitely enjoy it if my house were decorated like a Mad Men set. 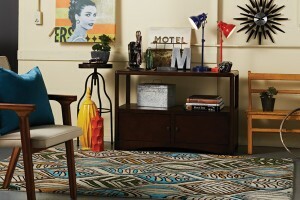 You love the combination of midcentury modern lines with organic pieces, ethnic textiles, and plenty of plant life. An expert at layering, you never met a brass accent piece or large-scale photograph you didn’t like. My true style probably is a combination of all these types. I want a little less “noise” than “Urban Funk,” but a little more warmth than going full, period Mid-century. “California Eclectic” probably suits me best. As I mentioned at the beginning, I’ve been seriously exploring my clothing style for the past two years, and one thing I’ve noticed is that a lot of women have issues regarding their mother in this area. Either she gave them body image issues, or she tried to make them look like her… I never experienced any of that. My mom has always been cool with recognizing that I’m going to do my own thing, even if she didn’t like. But where I do have a weird complex is with decor. My mom is very steadfastly Traditional/Country, and strongly believes that your decor should match your house’s architecture and the traditional local style. She thinks modern stuff is ugly and hates modern art. And naturally, it’s what I like best. So it makes me discount my own taste, in a way. When I was seven, I was allowed to redecorate my room with things selected from the Laura Ashley catalog. There is nothing Laura Ashley about me, and when I was a teenager, I moved into the guest room, which was a repository for stuff from the 70s. 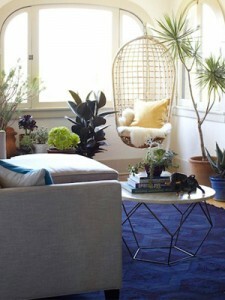 If I didn’t decorate my house to suit my tastes, it’d be the same situation and I’d end up in the garage or something. 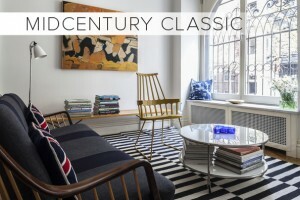 So yes, I just have to accept that the aesthetic I like best is stuff that was considered contemporary from the 1920s-1970s. And even if I lived in a 150-year-old farmhouse, I’d have to decorate my house that way.